Important Please read the below completely!!! 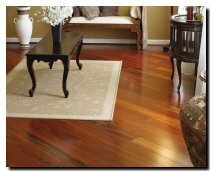 If you are looking for wood flooring produced by BR111 there are a couple of things that we must consider prior to purchasing. For starters we sold BR111 products for over 15 years and have always been very happy with the BR111 product. Therefore it is important that we consider a few things. 1. Are you trying to match or repair existing wood floor that was originally purchased from BR111? If this is the case it is important to consider that if this product was purchased or installed prior to the previous 24-36 months the product you would be getting from BR111 may have the same item number but is not from the same mill that your original floor came from. 2. Have you had a friend or family member that has had a BR111 wood floor installed in their home prior to the past 24 months and told you how much they loved it? In this case please consider either Indusparquet or Triangulo, as these Mills/Manufactures of wood floors were two of BR111’s big wood flooring providers. If this is the case please click on one of the links below.